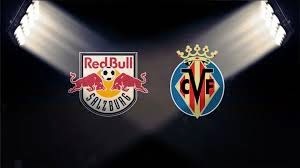 In the first match of these teams Villareal had an overwhelming advantage, but Salzburg has managed to earn in the first minutes of the second half, the major penalty. Goal scored Soriano, can be a ticket for the Red bulls in the next round. Villareal this season has shown that the team are playing much worse than at home. While they have the advantage in 1 ball, but to save it will be at least stupid, so expect quite open football. Salzburg in the championship failed to beat out reed, but Villareal beat the Eibar with a minimum score of 1-0.